← How Do You Make a “Short” CV? It’s not often that I’m rocked back on my heels by any piece of writing that I see in the Chronicle of Higher Education, but this piece, “Not Quite Bulletproof” is one of those times. 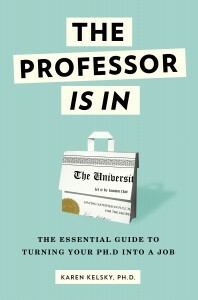 It starts out as a meditation on academic credentialism, and then, ever so deftly, takes us to the author’s battle with alcoholism, and recovery. I made a comment on the piece, to the effect that academic credentials can’t save you from your inner demons, and indeed can be another kind of socially sanctioned addiction (which is just restating the author’s point in stupidly pedestrian prose, but…). I knew full professors at my R1 programs who were absolutely credential/competition addicts. Their CVs were spectacular. And they were fueled by desperation. It was painful to watch. On this blog I promote a steely-eyed attentiveness to the length and quality of your CV. I see that as a mode of professional self-care. But it’s a fine line indeed between that and an addiction to productivity. Take care. I read the article and I thought of my father, who is an alcoholic of many years with his own impressive CV, and who consistently reminds us of his accomplishments so that we will reflect back at him the approval he still desperately wants (even at age 65). But your comments here made me realize that this article has implications for me as well. So often I long to disconnect from academia because I feel like I have failed, even though I love my work. My CV looks to me like a map of my failures. I see only the holes, the accolades I didn’t get, the schools that didn’t accept me. Every time I don’t get a particular grant (etc.) I feel as though my worth as a person is so low that I should just walk in front of a bus. I am realizing that I am my father’s daughter. And that I’d better address this before I start drinking. In the course of my grad school days, I’ve racked up a few book reviews, a single review article (requested by the editor of the journal), and a chapter in an edited volume. Only at the end of my “training” period did I discover that this pile of accomplishments was insufficient for success in the academic enterprise. There are, however, other accomplishments I accumulated in the same period, including relationships with people who’ve become indispensable parts of my life, spending time with loved ones who passed away while I was still in-process, seeing and savoring a vast number of sites courtesy of research travel, and other things that provided me with pinpoints of happiness during an otherwise long and dark stretch of years. I honestly cannot understand the people who give up their personal lives to feed the academic beast’s demands for an ever-increasing number of publications, but I think that phenomenon helps to explain why the highest ranks of academia are filled with the smoking wrecks of what were, presumably, once whole human beings. As we talk about how academia is increasingly turning into a rich man’s game (emphasis on “rich” and “man”) let us not forget that it has also become dominated by mentally and physically unwell people. That search for bullet-proofness exacts a horrific personal price far beyond damaged dreams, creating an acidic anti-social pool that does nothing to further any attempts at repairing academia while providing the enemies of education with a handy supply of additional ammunition. Personally, I refuse to trade my happiness for the applause of my self-styled superiors. I am sorry for anyone who would. They say that to be truly happy and complete, you must let go of that which makes you crazy. Academia, it seems, requires all of its followers to be insane to varying degrees. I don’t know your field, so I don’t know what you’ve witnessed in your time in academe, but in my little corner it’s not at all necessary to be crazy to do well. Perhaps to be the absolute best in the field one might have to sacrifice everything (though the folks I know with the most frightening CVs are often so brilliant they manage to have a thriving home life too somehow). But one can have a good career, with some measure of grants and articles in good journals and fulfilling teaching, and still maintain relationships, travel, have kids, hobbies, and so on. Can you imagine that some of us are actually having fun? I once heard someone say that every academic has a “Shadow CV” filled with all the fellowships, grants, awards, jobs, journal acceptances, press acceptances, etc., that they didn’t get – and it’s always more impressive than one’s actual CV. If we could all share our Shadow CV’s, we’d realize that our “failures” are not only nothing to be embarrassed about, but rich potential grounds for building greater sympathy and humanity into our profession. What about writers who have hundreds of rejection letters from publishers? Or artists, or musicians, or actors, or anyone in a creative field trying produce something under a system that does not have a formal commissioning apparatus? Yes, people who are prone to addiction will find that a profession in which promotion depends on external validation can run them into trouble. But such is life, and to say that the system turned you into a neurotic wreck or worse is, well, a bit dishonest. On the other hand, shining a light on the intense nature of the profession, the way that its structures of promotion isolate individuals and put stress on them in ways that can trigger addiction is definitely important. And discussing and de-stigmatizing issues of mental health in academia–for students AND faculty–should be a priority. That the author of the author was successful enough as a functioning alcoholic to gain tenure at Notre Dame is impressive. That he has written about it so openly and sensitively is nothing short of commendable.